20 photos taken near Dalmellington, Ayrshire. 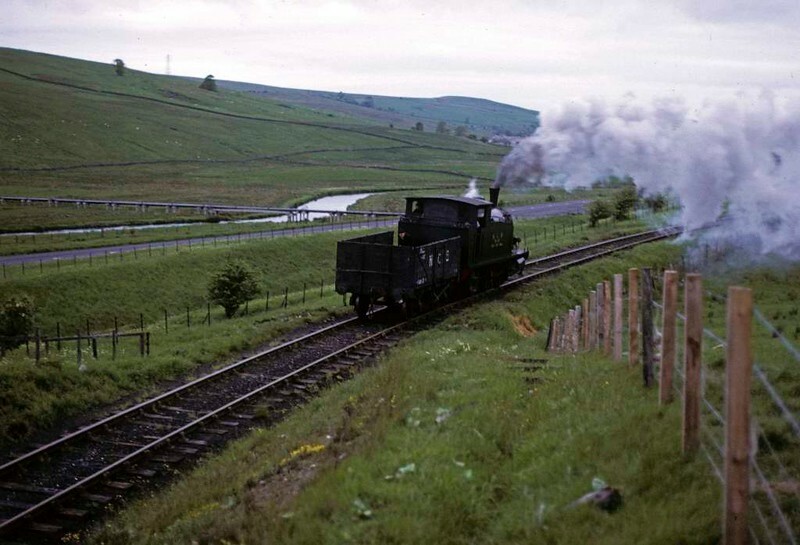 National Coal Board West Ayr Area 0-6-0T No 24, Waterside, June 1973. Barclay 2335 / 1955 runs light from Dunaskin to Minnivey colliery in the early morning. There is a man in the makeshift tender, whch all Waterside locos had. Photo by Les Tindall.